My depiction of Avro Lancaster W5005, AR-L for Leader of 460 Squadron RAAF as it appeared at the end of September 1943 when it carried 30 operations in the bomb tally on its nose. The aircraft was notable for its nose art of a kangaroo in Wellington boots playing bagpipes, painted by 460 Squadron Navigator T V (Vic) Watts DFC & Bar - a reflection of the tri-national nature of the crew that commissioned it. Watts painted nose art on several of the squadron's aircraft. The crew in question is believed to be that of Sgt J D Ogilvie who, unusually for 460 Squadron, was Scottish. Other members were Australian and Welsh. The Battle of Britain Memorial Flight Lancaster PA474 is being repainted to depict W5005 on its port side. 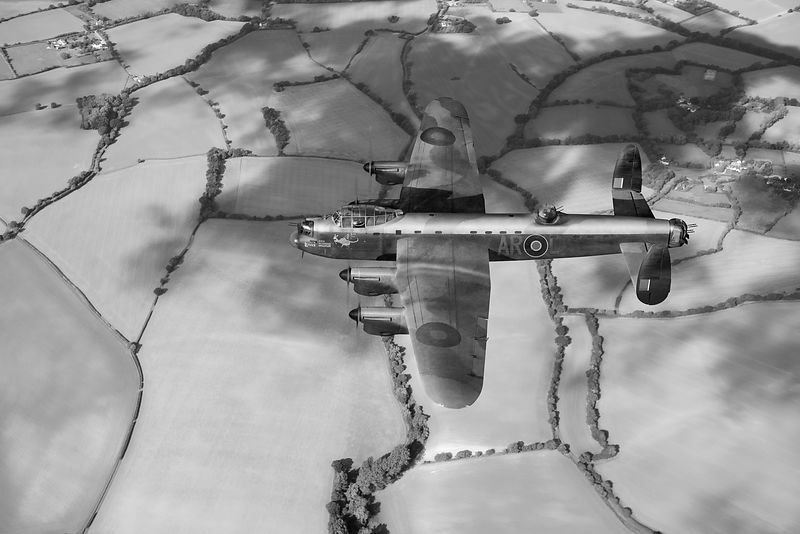 The image is based on extensive research of squadron records, logbooks and photographs in the Australian War Memorial government archive by an ad hoc team comprising Sqn Ldr Clive Rowley MBE RAF (Ret’d); F/Sgt Daryll Fell of the current 460 Squadron RAAF; Richard Munro from the 460 Squadron Veterans and Friends Group and myself.